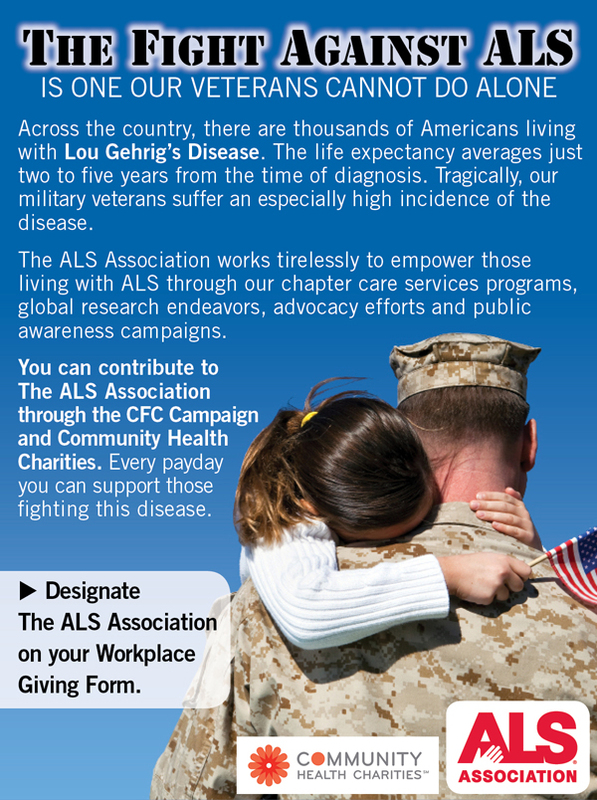 Workplace Giving is an easy way to support The ALS Association New Mexico Chapter. Your gift funds patient service programs in New Mexico, Southern Colorado, El Paso and nearly 100 research projects throughout the world. Giving at work through payroll deductions is simple and there are many convenient ways to contribute. As a member of Community Health Charities (CHC), we are one of the voluntary health agencies participating in the CFC. Federal government employees are encouraged to participate in the CFC and may designate The ALS Association New Mexico Chapter by writing 46634 on the Workplace Giving Form. Is your company listed below? If so, you are part of the CHC's Private Sector Campaign. You, too, can make a gift through payroll deduction. See a representative from your Human Resources Department for more information. If you are employed by one of the companies on this list, you can double your gift to The ALS Association New Mexico Chapter by simply completing a Matching Gifts Form. Even if your company isn't listed here, check with your Human Resources Department to see if you have a Matching Gifts Program. If you do, you will be given a form to complete. After you complete the form, send it to: The ALS Association NM Chapter, 2309 Renard Pl. SE, Ste 202, Albuquerque, NM 87106 or fax it to: 505-268-2750. J.P. Morgan & Company, Inc. The Sun Microsystems Foundation, Inc.
Union Pacific Resources Group, Inc.